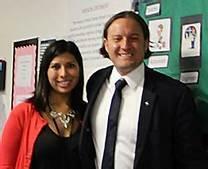 MAS Charter School was selected for a visit from Jason Botel of the United States Department of Education. Mr. Botel is the Principal Deputy Assistant Secretary for the Office of Elementary and Secondary Education. 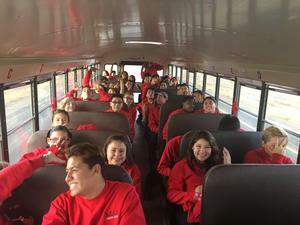 The visit came as part of the United States Department of Education’s Rethink School tour. We are excited to announce that we are the only school that was selected in New Mexico based on student achievement results and our four year “A” rating. An introduction to Ms. Julia Burrola, who has always called Albuquerque home, and now teaches elementary mathematics at Mission Achievement & Success Charter School—a place where student achievement results in math are on the rise since 2015. Here’s her inspiring story of “climbing the mountain” for our kids. MAS Graduating Senior Adamaris Michel Spotlighted by the National Alliance for Public Charter Schools! Three MAS 2018 graduating seniors were recently spotlighted by the National Alliance for Public Charter Schools. Here is the first of the three stories. MAS Graduating Senior Marcos Gonzalez Spotlighted by the National Alliance for Public Charter Schools! Three MAS 2018 graduating seniors were recently spotlighted by the National Alliance for Public Charter Schools. Here is the second of the three stories. Feature Article on MAS Charter School...Check It Out!! 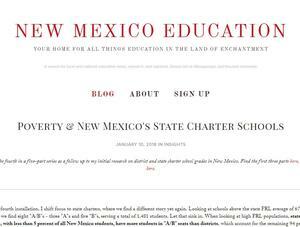 Check out this article on Poverty and New Mexico's State Charter Schools which features MAS Charter School. MAS Charter School to Replicate! On Friday, November 17, 2017, MAS Charter School was approved to replicate our school! We will be the first charter school in the State of New Mexico to fully replicate our model! We will open in Fall 2018 with grades K-1 and add one grade level each year thereafter until we reach the 12th grade. Exact details on the location of our second school will be forthcoming. We are very excited to expand our opportunity to serve students throughout Albuquerque! The video below is a fun video from the day's event!